Looking for other seed banks? 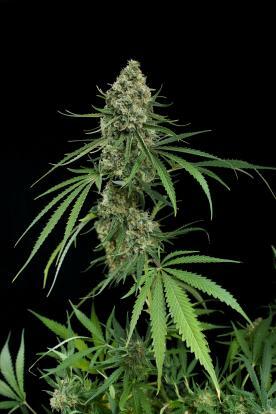 Critical + is an all-in-one feminised cannabis seed regarded as one of the greatest cannabis ladies of all time: she grows very easily, she produces spectacular yields, her taste and aroma are simply unbeatable, and she delivers an impressively potent 'high' that everyone wants to try. At Dinafem Seeds, we felt the urge to create something really special. How did we do it? By crossing a Big Bud with a selection of Skunks, we obtained a remarkably charismatic marijuana strain with an amazing overall quality. One of the most highly regarded strains of our collection and the favourite of many growers! Since her release in 2005, she has become more and more successful, with many awards honouring her value. 2nd prize at the 2011 THC Cup (Valencia). 2nd prize at the 2010 Cup Marina Baixa. 2nd prize at the Indoor Sativa Cup Bitox, in 2009. 2nd prize at the Outdoor Sativa Cup Bitox, in 2009. There are no comments yet. Would you like to be the first? Did you like this video? Having problems with the purchase process? Any doubts about the shipping methods? Any questions regarding your order? Having problems with your seeds? Want more information about Dinafem Seeds? Anything you'd like to share with us? Do not hesitate to send us any comments or suggestions you may have.